LCpl Thomas Shanor, GIHS Class of 2009, has successfully completed all of his training to become a Flight Mechanic/Air Crew. He is currently stationed in Miramar, California. Tom is attached to squadron HMH-361 - The Flying Tigers. December 8, 2011 . . . E-2 Airman Apprentice Ian Charles Rogers graduated from Great Lakes United States Naval Recruiting Station in Illinois on October 28, 2011. He is presently at the Naval Air Base in Pensacola, Florida where he will graduate from his training on December 9th. Ian will then be deployed on board the USS Carl Vinson, which is presently on its Pacific Ocean tour. 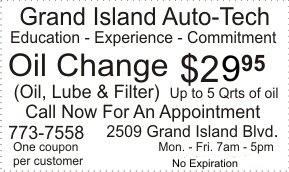 A 2010 graduate of Grand Island High School, Ian is the son of James Rogers of Grand Island and Carol Rogers of Kenmore. Ian's grandfather, Charles Rogers of Buffalo, is also very proud of Ian's accomplishment as he also served in the US Navy! Pictured at the NSCS graduation are award recipients and officials, from left, RADM Raymond English, guest speaker; ENS Ian De Soto, 2nd Battalion Honor Graduate, Navy Exchange Service Command Ship�s Store Award; ENS David Machinporrata, Navy Food Service Excellence Award; LTJG David Weinstein, MOAA Professionalism Award; LTJG James Dickerson, 74th Company Honor Graduate; ENS Brendan Conway, Navy Supply Management Excellence Award; ENS Broward Maryan, Defense Finance and Accounting Service Excellence Award; LCDR Michael Nelson, 74th Company Leadership Award; LTJG Paul Cabe, Navy Supply Corps Foundation Leadership Award; and CDR Herron, Executive Officer; and CAPT James Davis, Commanding Officer of NSCS Newport. Eighty-eight students from the Navy Supply Corps School in Newport, R.I., graduated at the end of August. Sixty-eight of the students were headed to active duty; twenty were members of the Navy Reserves. ENS Ian De Soto, who was the Honor graduate of the BQC, said graduating at the top of the class was no easy task. Grand Island native, ENS Brendan Conway, finished second in the class. The friendly competition kept all motivated. "The Supply Corps is going to be getting a great group of intelligent, competent, and motivated junior supply officers ready to jump into our new role." ENS DeSoto is reporting to the USS Scranton (SSN 756). The Supply Corps is one of the oldest staff corps in the U.S. Navy. Supply Corps officers are concerned with supply, logistics, combat support, readiness, contracting and fiscal issues. The official motto of the Supply Corps is "Ready for Sea" - reflecting the Supply Corps' longstanding role in sustaining war-fighting. Commissioned officers in the Supply Corps are schooled and experienced in a variety of disciplines such as supply management and expeditionary logistics, inventory control, disbursement, financial management, contracting, information systems, operations analysis, material and operational logistics, fuels management, food service and physical distribution. ENS Brendan Conway will be reporting to Naval Reactors which is headquartered in Washington DC. Naval Reactors is the U.S. government office that has comprehensive responsibility for the continued safe and reliable operation of the United States Navy's nuclear propulsion program and thus for United States Naval reactors. 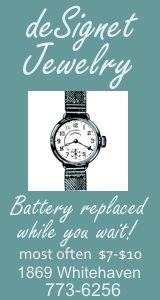 It has authority and reporting responsibilities within both the Department of the Navy and the United States Department of Energy. Conway, who completed his undergraduate work at Ithaca College in Finance, successfully completed Officer Candidate School in February, 2011, being commissioned as a US Naval officer. 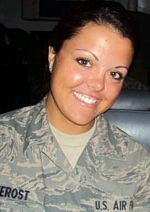 October 13, 2011 . . . Airman Patricia A. (VeRost) Philpot signed for the United States Air Force in April 2010 and began basic training after her Grand Island High School graduation in July. Airman Philpot is married to Jonathan Blake Philpot, also in the Air Force, and they are expecting their first child in January 2012. 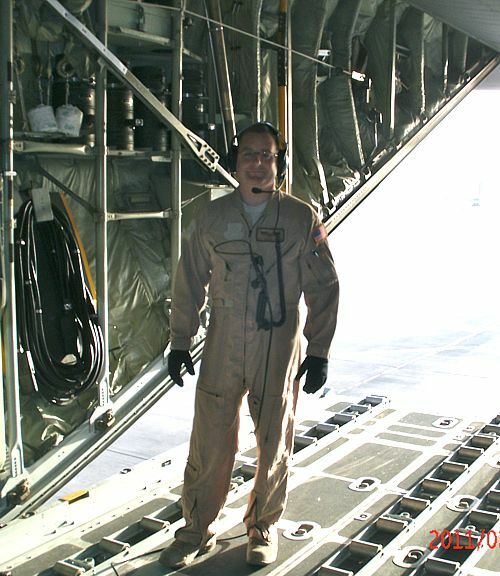 SSgt Andrew Golembiewski, U. S. Air Force, reports that as of May 19, 2011 his tour at RAF Mildenhall has come to an end and he has been reassigned to Joint Base Pearl Harbor Hickam. He will be back on Grand Island for some much needed leave before serving four years at RAF Mildenhall. Tour of duty at JBPH-Hickam will be three years. March 2011 . . . Pfc Thomas Shanor was promoted to LCpl. He is currently stationed in North Carolina completing his Aircrew/flight mechanic school. 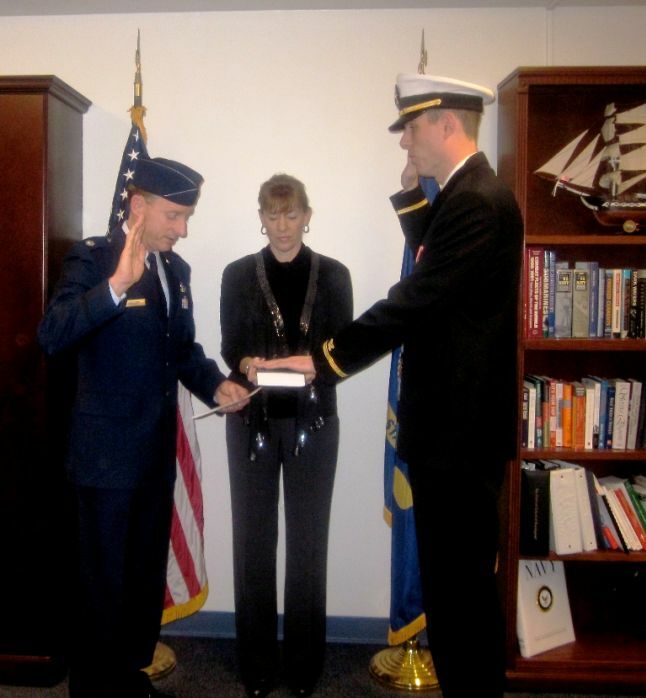 Ensign Brendan Conway is commissioned as a US Naval Officer by his uncle, Lt.Col. Charles Englert as his mother, Margaret Englert Conway holds the bible in a private commission ceremony Feb. 18, 2011 at Naval Station Newport, Rhode Island. Newport, Rhode Island: Feb. 18, 2011 . . . Naval Station Newport, RI was the scene February 18th of the commissioning of 82 new US Navy Officers. One of them was Grand Island resident Brendan Conway Jr. The twelve-week Officer Candidate School course is designed to provide working knowledge of the Navy (afloat and ashore) and prepare the OCS Candidate to assume the responsibilities of a Naval Officer. The program contains: 8 weeks of instruction in Naval Leadership, Seamanship, Navigation, Naval Administration, Naval Organization, Sea Power (Military History), Military Indoctrination, Naval Warfare and Damage Control. It also prepares the OCS Candidate thru four weeks of Physical Training: Third Class Swim Test and Intense Physical Conditioning to increase endurance and stamina. 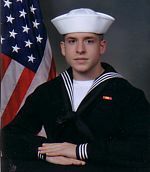 Upon completion of the program, Brendan Conway was commissioned as an Ensign in the US Navy and assigned to the Supply Corp. 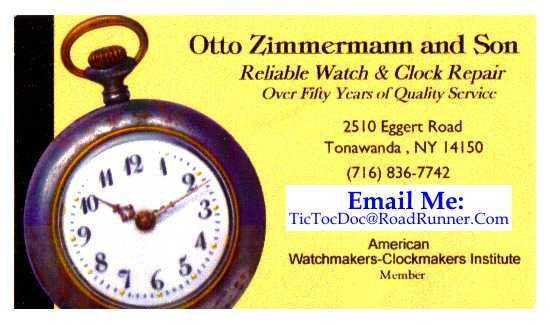 He graduated from Ithaca College with a BS/Finance degree and a Masters of Science in Education from Canisius College. The Supply Corp has the primary responsibility for providing supply support to U.S. Navy forces worldwide. The broad responsibilities of the Supply Corps are closely related to those of many executive positions in private industry and embrace such areas as financial management, inventory control, merchandising, transportation, procurement, data processing, and personnel services. Conway will be stationed at the Navy Supply Corps School in Newport, RI for a 24-week course thru August 2011 to provide the Ensign with the basic skills he needs to successfully perform as a Supply Corps Officer in the fleet. February 17, 2011 . . .TSGT Maurice Shivers, currently serving in Operation New Dawn and Enduring Freedom. C-130 Loadmaster with 328AS, Niagara Falls, ARS. Expected to return May 18, 2011. Grand Island resident MSgt. 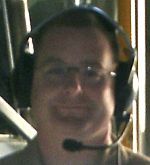 Robert Osborn is a member of the Air National Guard. He has spent many years active duty in the US Air Force, and is expected to be going over seas in June 2011.